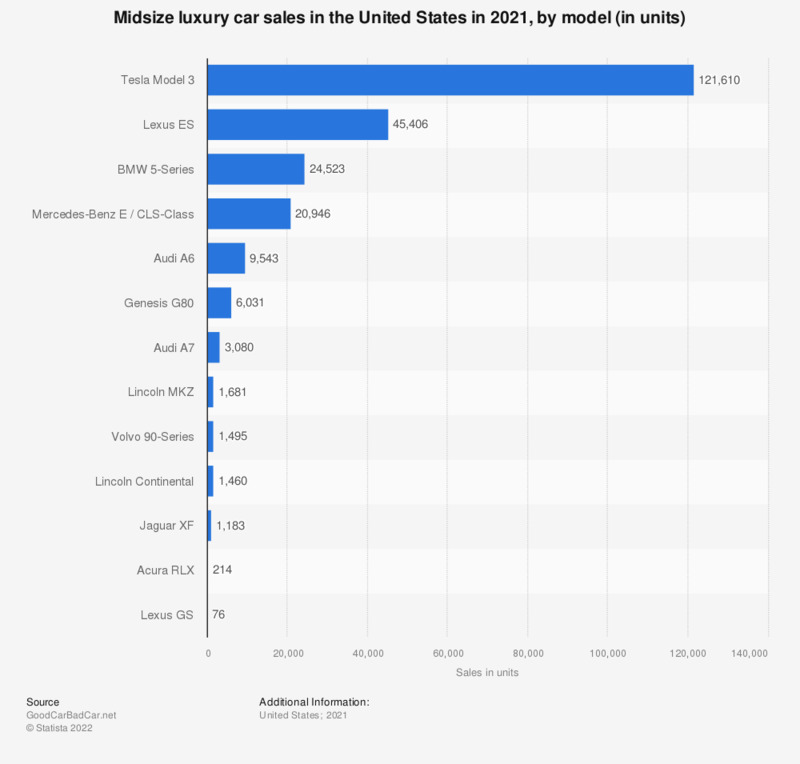 This statistic represents the best-selling mid-size luxury car models in the United States in 2018. That year, around 140,000 Tesla Model 3 vehicles were sold to customers in the United States. Model 3 sales increased by around 8,300 percent in 2018, compared with the year before. The Model 3 is an all-electric sedan manufactured by Tesla Inc. It's been produced in the United States, Europe, and Asia since 2017. * Sales figures for Acura RLX/RL were not stated separately by the automaker. Everything On "Luxury cars in the U.S." in One Document: Edited and Divided into Handy Chapters. Including Detailed References. What is the engine capacity of your most driven car? What is your most trusted channel for obtaining information on cars? How do you feel by when driving your car? On what occasion do you drive a luxury car?